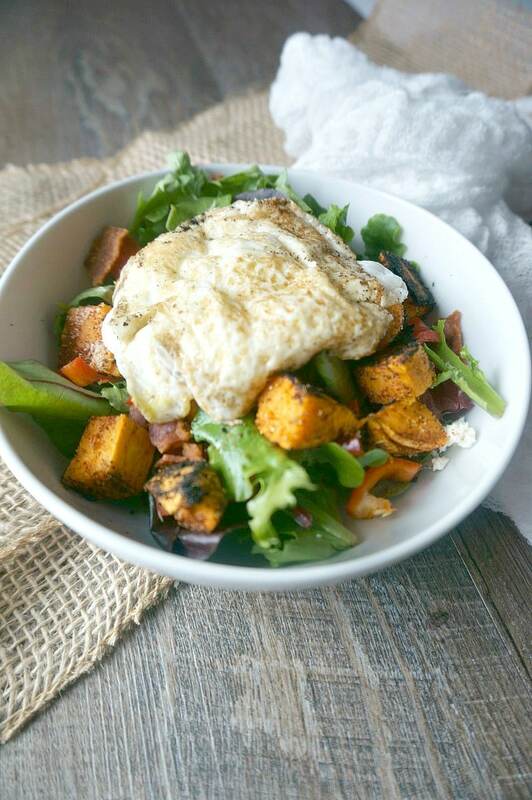 Seasoned, roasted sweet potatoes are tossed with a mixed greens and sharp feta cheese. Finished off perfectly with fried egg. Hi there! My name is Kristen from A Mind “Full” Mom, where I share my passion for real families for real food on real budgets. I am so excited to be here sharing with you all a bit of inspiration to keep you healthy but full! Thank you Lauren for having me! For me, nothing beats breakfast. Sweet, savory, decadent, light–the options are ENDLESS. And I have no problem eating breakfast foods all day long! But what about eating a salad for breakfast? Might seem a bit far fetched, but having a salad for breakfast works, and oh so tasty! A few weeks ago, I was blessed with a “date night” with my middle school son. He wanted to go to a favorite brunch spot of mine for dinner. As we glanced over the menu, he ordered our usual–a chicken sausage veggie omelet served with a fluffy biscuit. Delish! I decided to mix things up. 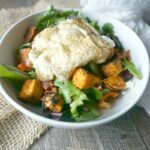 I was intrigued by a simple salad served with rosemary roasted potatoes and a poached egg. After first bite, I asked myself why I had not been eating salads like this for breakfast on a more regular basis?!! Back at home in my kitchen, I was determined to make my own spin on a breakfast salad to fulfill this new craving I was having with great intensity. 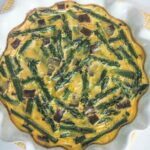 I opted for roasted chili dusted sweet potatoes, because I am a bit obssessed with pairing sweet potatoes with eggs–take my Spinach Quiche with a Sweet Potato Crust, Southwestern Sweet Potato Hash, or my Sweet Potato Egg Boat as examples. And let’s face it, adding a bit of Tex-Mex from the chili powder to a dish NEVER hurt anything! Once I had the sweet potatoes–it was time to build the salad. I started with a bed of mixed greens tossed with sliced mini red peppers, feta, and fresh lime juice. I topped the greens with the warm, roasted potatoes, letting the greens wilt ever so slightly. And then finished the whole thing off with the piece de resistance–a fried egg! The yolk becomes a rich, velvety dressing that makes the salad have such a luxious and rich taste. Toss potatoes with chili powder, 1 teaspoon salt and 1 teaspoon oil. Roast for 15-20 minutes, until soften and beginning to brown. Toss together the greens, peppers, feta, zest and juice of the lime, 1 teaspoon salt and pepper together. Heat remaining teaspoon of oil over medium-high heat in large skillet. Crack each egg into skillet and season with remaining salt, and fry for 2-3 minutes per side. Flip and let finish cooking for 1 minute. Divide the tossed greens between 4 bowls and top each salad with one egg. One bite of this salad and a salad will NEVER sound like an odd choice for breakfast again! Thank you so much for sharing Kristen! This doesn’t sound odd to me, I can’t wait to make it! Please go visit Kristen on Facebook, Twitter, Instagram and Pinterest. I LOVE all of her recipes and I know you will too. Thanks for stopping by! Mmmm I love anything with sweet potatoes! Love the egg on top! A breakfast salad, what a cool concept! 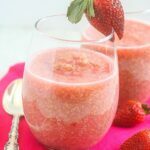 Especially with all the ingredients and flavors going on in this one – yummy! I know, it’s so creative! This is a great idea and it looks delicious! I love a little chili in my sweet potatoes, it’s a perfect combo! This is such a creative idea, perfect for any meal! I’ve gotta go check out those other sweet potato and egg recipes now! They all sound so good. 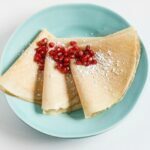 I’d opt to enjoy this for an easy weeknight dinner as well! Thanks Karen. 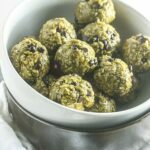 I am a bit obsessed with the combo, but you will see why once you try the recipes! Kristen, this would be my kind of breakfast! I’m a sucker for anything with a fried egg on top of it! I’m not normally a breakfast person but I’d love this! I often eat leftover dinner salad for breakfast, so why not one made just for the occasion? Well done! You can call this a breakfast salad, but I’d happily eat this for lunch, dinner, and a midnight snack. It looks so tasty! I love sweet potatoes, yet never imagined them for breakfast. Now I can! Love what you came up with! I’ve recently been getting into the habit of actually eating breakfast and this is perfect! I’m always looking for ways to incorporate MORE greens into my morning routine and a salad would be an awesome idea! I love salads like this. A good, local egg on top of greens is delightful (I usually poach it) … and warm potatoes make it just perfect. Love that you used sweet potatoes here!